Hello! Today is one of those rare days when I don't have to be out the door as soon as kids are off to school and with gray skies and a little rain on the way, I'm not complaining. 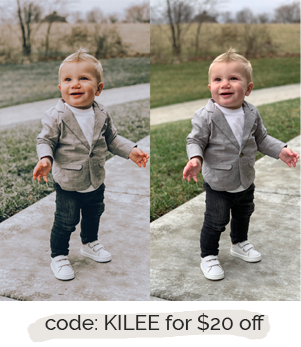 Rush still takes a morning nap and Baker is miraculously playing alone in his room, so although I probably just jinxed myself, I'm going to try and get this post up! Today's outfit has a lot going on, but it's also a great mix of some of my favorite styles to wear this season. 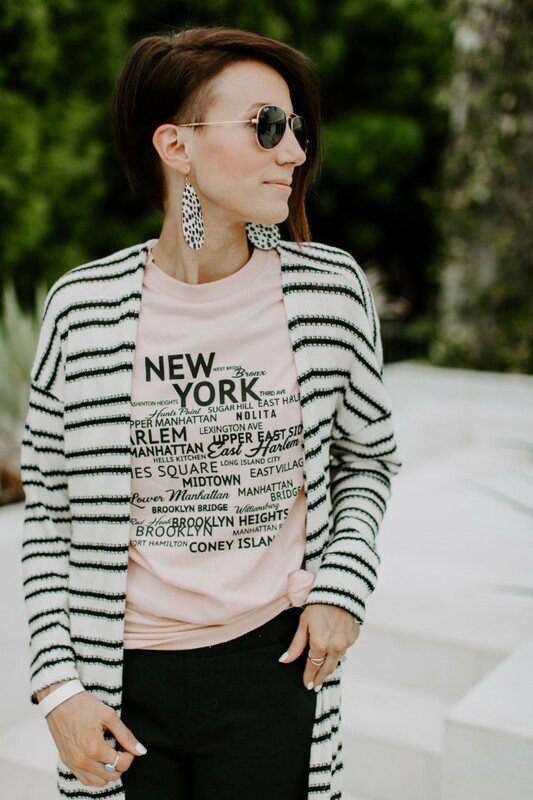 I'm partnering with Nordstrom today to share some of my favorite Spring styles and I've got a lot of similar options for you to shop at the end of the post. 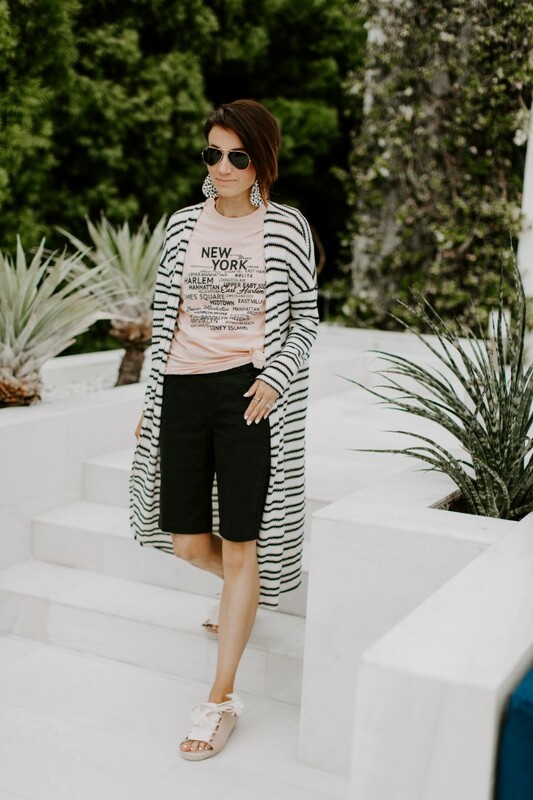 I'm always a fan of a great graphic tee, and a long cardigan, but today it was fun to mix some lengths and layering by pairing them with some bermuda shorts. Add a great unique pair of shoes and I'm a fan! 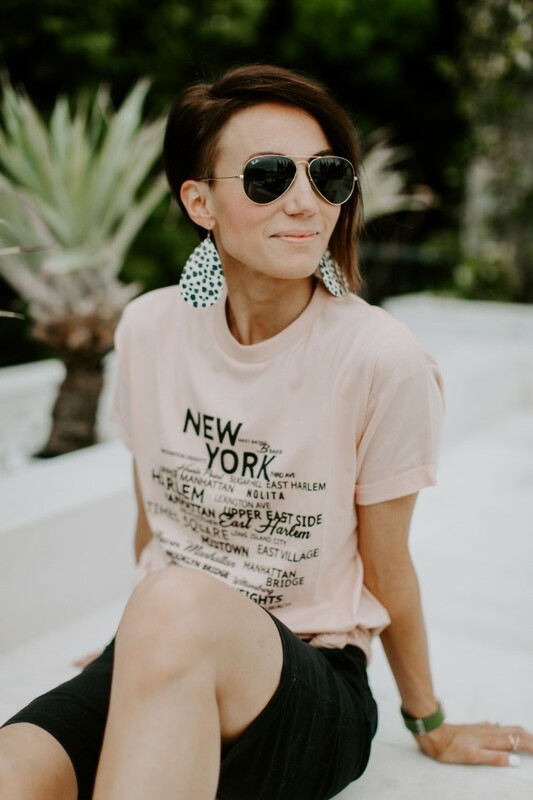 Bermuda shorts are on their way back in this year, and although I'm not usually a shorts person, I'm going to give them a little bit of a go. They are a super modest alternative to short shorts, and like I said above, they also add a cool new element of length to an outfit. 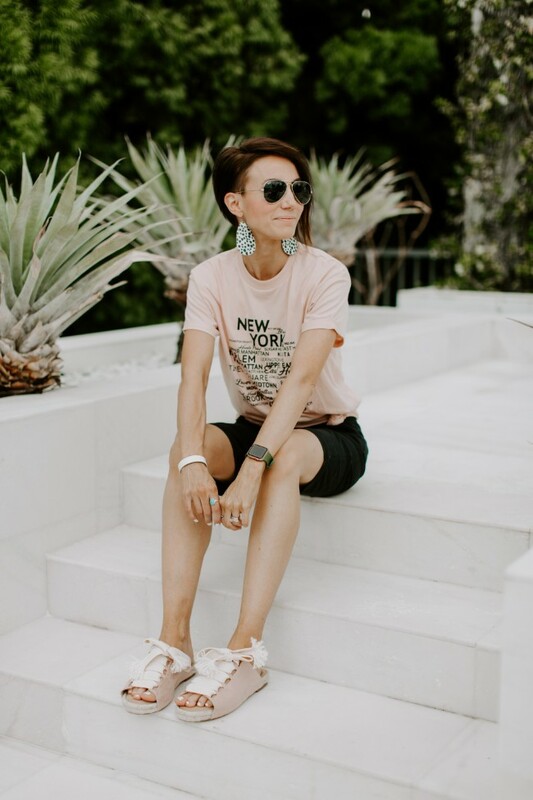 You may have seen the 'biker short' trend recently as well and I think slim fitting bermudas are a way to get a similar look, without the spandex! Today's pair is a little more of a relaxed fit, but I think it still works. 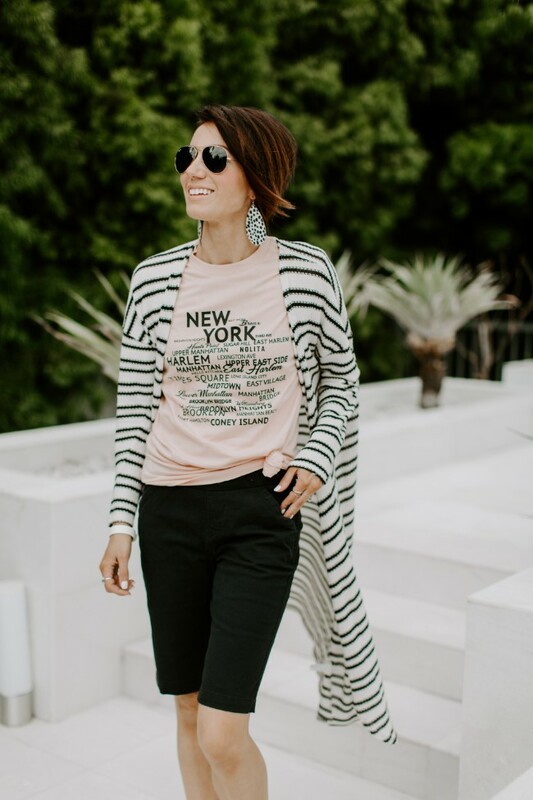 I grabbed these (and this whole outfit) from Nordstrom and they have so many other options right now. I'd recommend ordering a bunch- in several sizes and cuts- to find the pair that flatters you the most. Nordstrom has free shipping and the easiest return process so I almost always overbuy and then return what doesn't work! Stick with black. Denim bermudas are tough. The wash really changes the look so stick with a dark wash for the slim fitting look. Distressed is cool, but harder to wear. The distressed, baggy bermuda is much tougher to style. It works- like with a cool graphic tee and bright Birkenstocks, but it's a little more out there. Play with them. 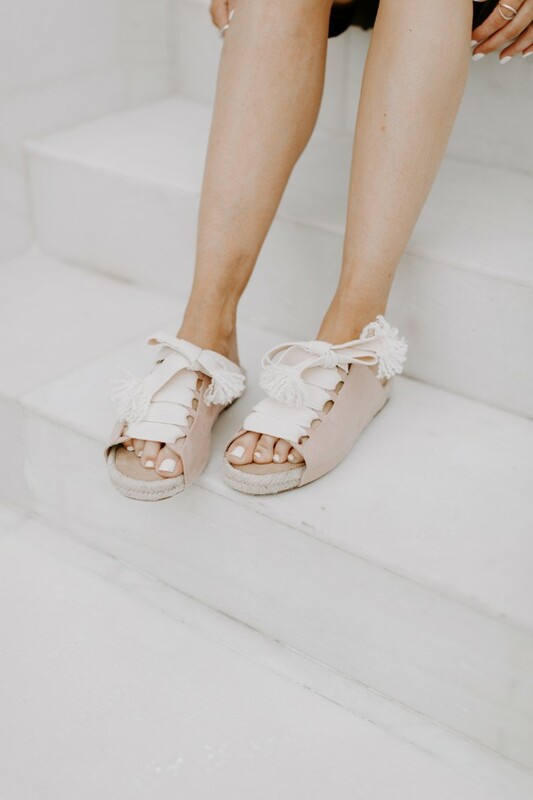 Heels and wedges look really cool with a slim fitting Bermuda short. Try pairing them with a v-neck tee, blazer and mules. Bermuda shorts also work with a great pair of causal white sneakers like these Vans. A loose sweater with fitted long shorts and dressy flat sandals would also look great. 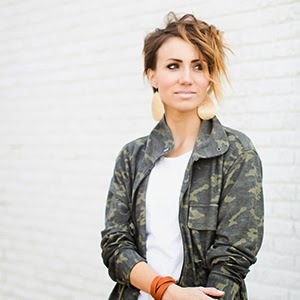 Try an outfit like the one I've styled today with a duster (longer) cardigan, a tee, and sandals. 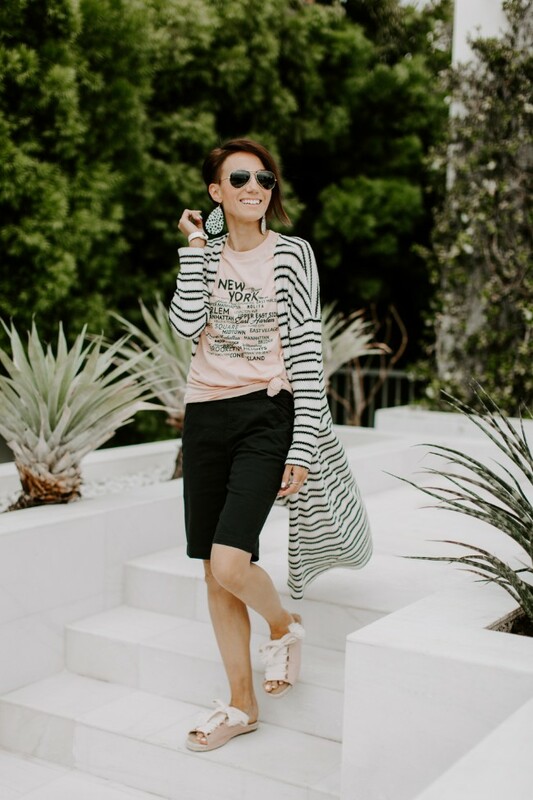 Shop other bermuda shorts and fun Spring items to pair with them below! 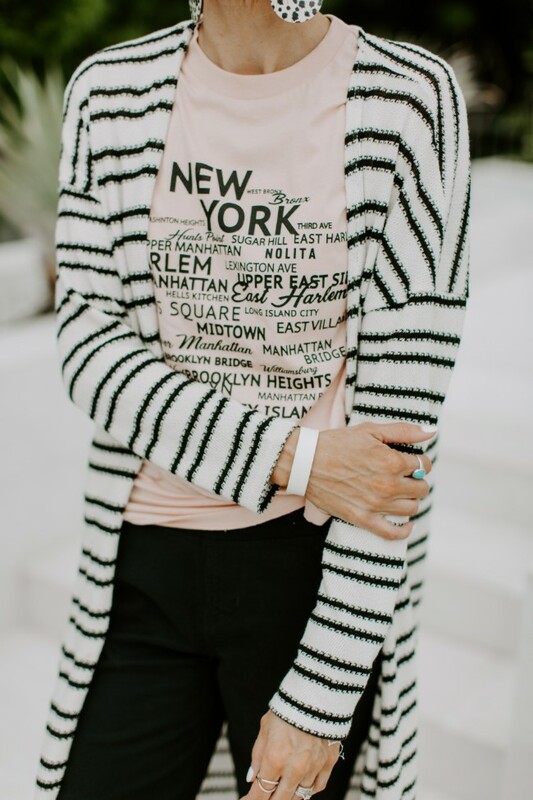 Since the stripe cardigan is currently sold this one is very similar from Nordstroms. Thanks to Nordstrom for sponsoring this post. As always styling and opinions are my own.